Even once the Super Bowl LI champions have packed their bags, boarded their flight and left town, Houston will remain a premier destination for both Americans and those coming from abroad. But with the city still under the microscope ahead of Sunday's colossal Super Bowl showdown between the Atlanta Falcons and New England Patriots, there's never been a better time to draw attention to some of the top things that visitors can see and do in Houston. Houston's Hermann Park is a must-visit for any on an extended stay in Clutch City and is also home to the McGovern Centennial Gardens. Here, you can heck out the arid garden, rose garden, woodland garden and the interactive family garden. 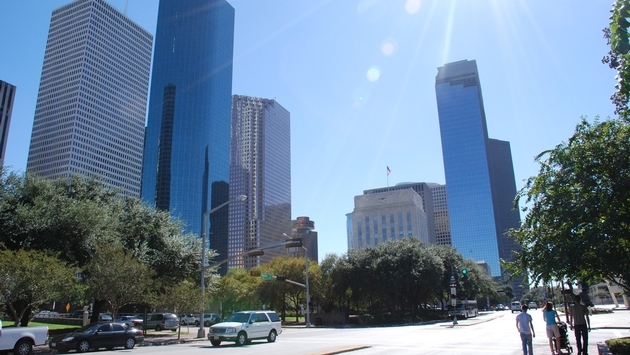 Plus, once you've had your fill of fresh air, you won't have to go far to experience Houston's Museum District. You can't visit Houston's Uptown District without making a pit stop at The Galleria. Just make sure you bring some extra cash. In addition to a plethora of top-flight retail shops, the popular attraction boasts a handful of delicious dining options where you can fuel up for the next store. There's plenty to see and do at Space Center Houston. The best way to experience it, though, is via a tram tour that takes you behind the scenes at the NASA Johnson Space Center. The 90-minute tour is for guests of all ages and will bring passengers up close with an actual Saturn V rocket. The Houston Rockets are one of the hottest teams in the NBA this season and are in the midst of a four-game homestand. Head to the Toyota Center in downtown Houston to take in a game or come back in the spring to watch what the team hopes will be a deep playoff run in person. A Texas Beer Bus tour through Houston is the best way to experience the city's top breweries, distilleries and wineries. Transportation and snacks are provided so you can taste away without worry. There are a variety of different tours offered with most lasting several hours and costing a little more than $100 per person.